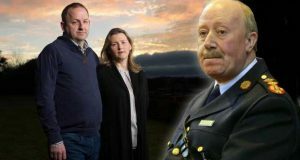 The revelations about the smear campaign against Maurice McCabe have lifted the lid on the workings of the tops of the Gardai and the establishment as a whole. Despite talk of incompetence and ‘administrative errors’ the reality is clear: the tops of the Gardaí acted consciously to discredit a whistleblower with false allegations of child sexual abuse. Assistance to this campaign of lies was provided from within Tusla – the state body responsible for child protection! 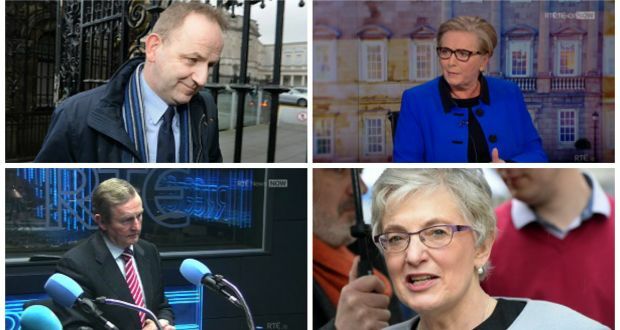 It speaks to the cosy relationship between the media and those in power that journalists were fed these allegations for years without exposing that a smear campaign was being run by senior Gardaí. The same point can be made about most of the political establishment, who have acted consistently to underplay the seriousness of the situation with respect to the Gardaí. The latest revelations do not come out of the blue. 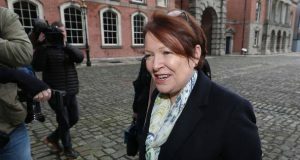 It is only the most shocking of a series of scandals which have included the penalty points scandal, the bugging of GSOC, the spying on water protesters through Operation Mizen, the secret taping of phone calls to and from Garda stations between arrested persons and their solicitors. It is not even the only case of a smear of child sexual abuse being used to discredit a whistleblower. A similar allegation was fabricated against a Garda who spoke to journalists about the seizure of Roma children in 2015. 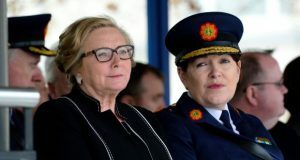 Despite the government’s attempts to back her up, it is clear that Noirin O’Sullivan’s position as Garda Commissioner is increasingly untenable. Her defence that she did not know about these allegations stretches credibility and amounts to a further attack on Maurice McCabe. She should go. However, much more important is the questions this raises about who controls policing and whose interests it serves. The left have been ridiculed in the media and political establishment for raising the idea of ‘political policing’ in the context of the Jobstown trials and the role of the Gardaí around water charges movement generally. However, these revelations give the lie to the idea that the Gardaí are some kind of neutral force ‘above politics’. The reality is that as an institution they act to defend the super-rich and powerful and uphold the status quo. We need to go much further than questioning the role of individual Gardaí or even ‘management culture’ etc. To transform the role of policing, it must be brought under the genuine democratic control of working-class communities. Nobody believes the accounts of government ministers on this issue – in fact, they contradict each other. It is clear that this crisis has brought the government to the brink of collapse. They appear to have been saved for the time being by Fianna Fáil, with an agreement on a ‘public inquiry’. Enda Kenny has been irreparably damaged in the last week and it is only matter of time before he is forced to resign. While Fianna Fáil have criticised the government on aspects of the crisis, they have fundamentally acted to minimise the damage to the Gardaí and establishment. This episode underlines the increased unity on the right of politics, as Fianna Fáil and Fine Gael come together to defend the interests of capitalism. This government needs to go, but this crisis shows the need for a political alternative to the current, rotten set up. The movements which have developed around water charges, Repeal and on the industrial plane point to the power of workers, young people and women as the antitode to the unaccountable power which operates at the top of society. We need a mass movement of the 99% that fights on all issues of injustice and for a Left government which can take on and defeat the capitalist establishment and their system.